Development entity registered to Richard Garaffo of Norwood and Paul Marks of Brookline. 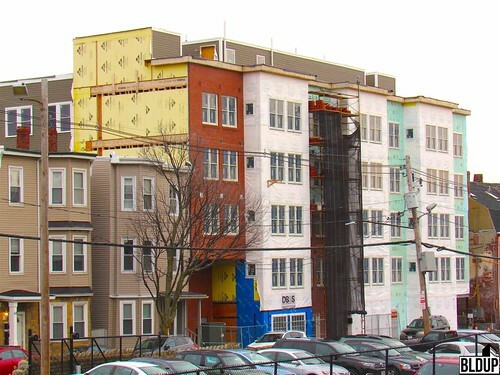 70 Bremen Development Partners LLC, developer of the 70 Bremen Street mixed-use building in East Boston, proposes to switch the building's 32-unit residential component from rental apartments to ownership condominiums. The proposed switch follows the recent approval of increased ground-floor retail space at 70 Bremen Street to 1,028 square feet from 703, as well as the recent proposal to switch the nearby 135 Bremen Street mixed-use development, developed by 135 Bremen Street LLC, from apartments to condos as well. The East Boston condominium market has seen high demand in recent months, with the 80-unit Slip65 waterfront condominiums recently reaching the 50%-sold benchmark in just 36 hours and achieving record East Boston prices. Condominiums at Slip65 are now under agreement for prices ranging from $700- to over $1200 per square foot, some for sums over $1.5 million. 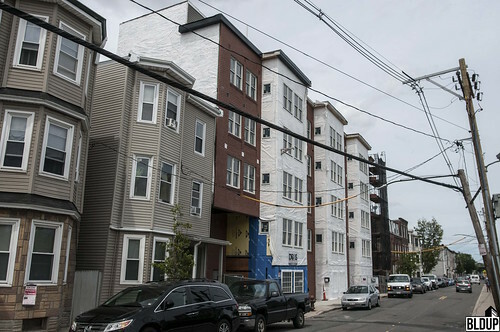 70 Bremen Street has risen to full height of five stories. We look forward to watching the impending installation of interior and exterior finishes. 70 Bremen Street will contain 32 residential units when complete. The building's ground-floor retail space will bring new energy to Bremen Street. New photographs of 70 Bremen Street are posted above. 70 Bremen Street's frame has risen three stories! Building will be five total stories tall. Foundations are being laid at 70 Bremen Street, a new residential building on the East Boston Waterfront!